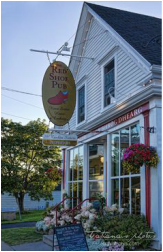 The Red Shoe Pub is the place to be, a must stop for residents and visitors alike hoping to treat themselves to local music and culture, kitchen table hospitality, wining and dining. Owned by the Rankin Sisters, the Red Shoe Pub does not disappoint! Custom Framing and selling local artwork. Be sure to stop in and pick up your favourite piece! The Mabou Playground Committee under the umbrella of the Mabou & District Community Development Association purchased and together with many committed, talented and generous community members came together built a community playground on the Mabou & District Athletic Centre Grounds, on September 7th, 2013! 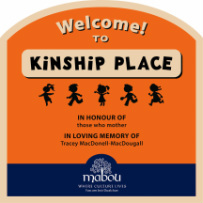 Kinship Place is a welcoming new community park venue complete with covered eating areas and benches. For the enjoyment of children and adults. The museum and historical society was founded to catalogue and support Gaelic culture in the Mabou area. It also functions as keeping records of Mabou’s history. Built in 1875, it served as a general store and lecture hall until the late-1970s, then in the 1980s the building was purchased and used to create a heritage museum. The museum also functions as a cultural center, giving step-dancing, fiddle and piano lessons, holding Gaelic-related events and workshops. “An Drochaid” means “The Bridge” in Gaelic, which is the name Gaelic settlers gave Mabou. People worldwide are rediscovering the benefits of buying local food. It is fresher than anything in the supermarket and that means it is tastier and more nutritious. It is also good for your local economy--buying directly from family farmers/artisans helps them stay in business. 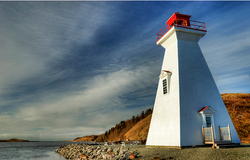 "Mabou is one of only a handful of definitive waterfront maritime communities." Fees go to the Mabou & District Community Development Association to help volunteers maintain and develop this marina. The Mabou & District Athletic Centre (Fitness Centre & Community Centre) is a non profit , community commission run, inclusive facilty that has been proudly serving Mabou & surrounding communities since 1971-72. The Mabou Arena was the first artifical ice surface, in Inverness County outside of the town of Port Hawkesbury. The Mabou & District Athletic Commission is devoted to promoting physical activity and they strive to provide a safe location for community members of all ages and skill levels to meet (social network), participate in sport (skill development), or recreational activities. Located at 186 Mabou Harbour Road a short distance of Route 19. The ice is available for private rentals for rental fees and ice times please contact facility manager at 902-945-2378. 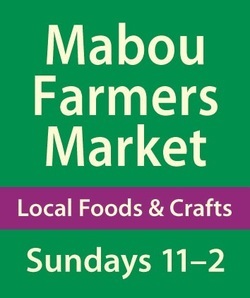 During the off season (June, July, August, September & part of October) stop by on Sundays for the Mabou Farmer's Market from 11 to 2pm, for more information on the Farmer's Market check out their website www.maboufarmersmarket.ca. A religious shrine, found in a charming miniature church which was moved from its original location in 1967 by the Brothers of Our Lady of Seven Sorrows. 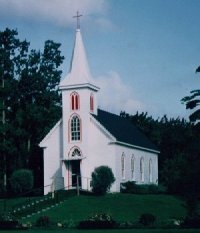 The small white church was repaired and restored and was officially opened as a Shrine in July of 1968, dedicated to Our Lady of Sorrows and the brave pioneers of the Mabou area. The Shrine is visited by thousands of travellers who nourish their spirit in the peace and serenity of this beautiful, reflective pause along the way. 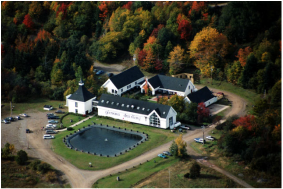 Nestled in the rolling hills of Mabou, Nova Scotia Strathspey Place is home to culture, music and tradition. The venue is dedicated to showcasing local and international talent. 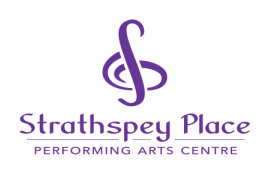 To learn more about Strathspey place and upcoming events, visit strathspeyplace.com, call us at 902 945 5300 or find us on Facebook by seaching Strathspey Place. A dramatic departure from the typical golf excursion. Never is the game of golf more appealing than when a course is set in a rugged, oceanfront landscape, on links land running firm and fast. This is Cabot Links, Canada’s only authentic links. This is Cabot Links, where the holes spread out between the sea and the village of Inverness. This is Cabot Links, where every hole offers an ocean view and where five holes play directly adjacent to the beach.